Having a hard time thinking what to give relatives and friends who got everything? 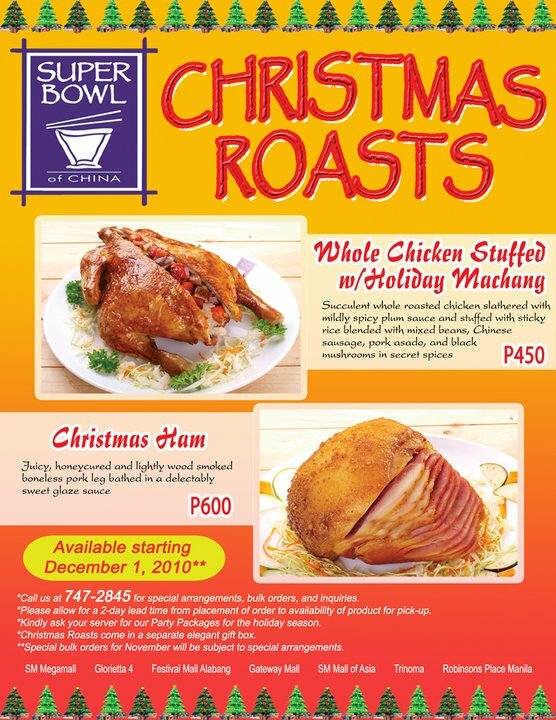 Why not give them Super Bowl of China's Whole Chicken Stuffed with Holiday Machang and Christmas Ham. Priced at P450 and P600 respectively, the one who receives this will surely appreciate your thoughtfulness. 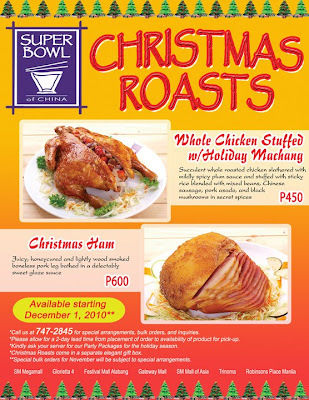 Order these 2 delectable Holiday dishes 2 days prior at any Super Bowl of China branches.